Many companies say they value employee satisfaction. But does that commitment extend to departing employees during a layoff? I don’t mean to say that the HR leaders and managers of organizations conducting layoffs don’t care about laid-off employees — I think they do. But in times of distress, priorities shift to keeping the company afloat so concerns like employee satisfaction are sidelined. I understand you are busy with many things during a company restructuring. As I wrote in previous articles, however, ensuring a smooth transition for exiting employees is not just a nice sentiment, it’s actually beneficial for your company. Besides, it won’t take much of your time once the feedback system is set-up. You won’t know for sure if an outplacement provider did their job well unless you go directly to the source — the exiting employees. Ask them for feedback on the outplacement service after every stage of the process, like coaching, resume and interview assistance, and group training classes. How long did it take the outplacement provider to get in touch with you, after notification of your employment status? 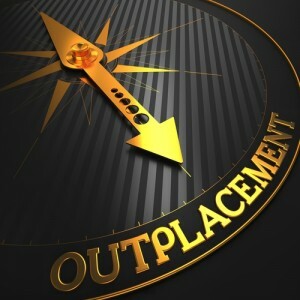 Which parts of the outplacement program did you attend? If you didn’t attend any of the classes or coaching sessions, why not? On a scale of 1 to 10, 10 being the highest, how would you rate the career counselor who talked to you? Were you able to receive detailed resume coaching? Or did you get a template resume? Did the outplacement program help you transition into your search for another job? Do you have any suggestions to improve the program? I understand it might be awkward to contact exiting employees about this, as they might vent their frustrations on you. However, if you make it clear that the call is purely about the outplacement and will not affect their separation pay and references; you’ll have a better chance of getting honest feedback. Think about how much you paid the outplacement provider, and the potential bad reviews you’ll get from disgruntled employees who didn’t benefit from the service. Now isn’t it worth knowing if the money spent was worth it? If you can’t spare the manpower in HR, ask a third party to survey a random batch of exiting employees about their experience with the outplacement provider. Better yet, to make things totally anonymous, create a survey that is sent to them via email. Document the reviews and discuss what measures have to be taken to prevent negative reviews about your company from sprouting up online. Is there anything else you can do for the employee? What can be done to ensure this doesn’t happen next time?